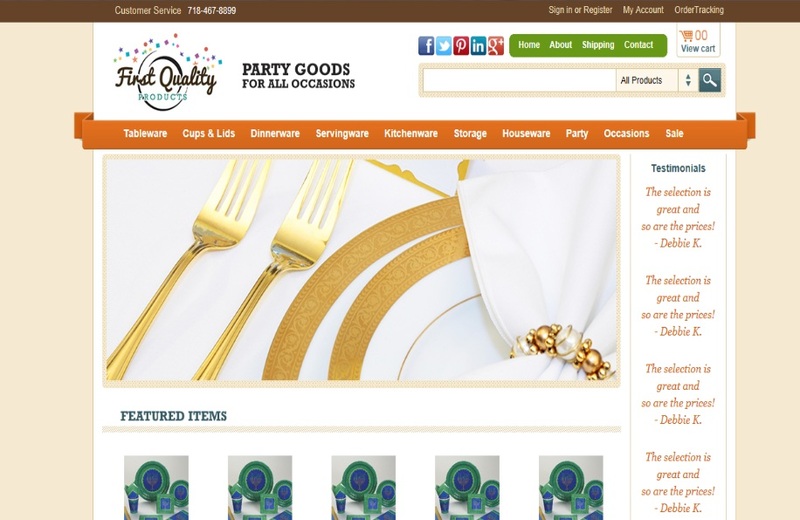 First Quality Products, based in Brooklyn, NY, sells a wide variety of paper and plastic party goods for all occasions. Their product offerings include party decorations, elegant dinnerware, table decorations and helium balloons.This website design by Bitochon enables customers to browse the site and purchase the items they want by using a credit card.All transcations made using this website are fully secure and protected. The user interface makes it easy for the merchant to make changes in the site’s content and add or replace products as needed.